Life in Russia, for the average person, is lived “close to the bone.” Closer and closer to the bone as the economy suffers under the relentless attacks of the capitalist world. Well, there is no profundity in that statement I think to myself. On the one hand, what is true of Russia is true of the whole world, The vast masses of people from Asia to Africa, from the Middle East to the core of the Capitalist Motherland itself, barely subsist. They barely subsist because great poverty and great wealth are the natural products of capitalism: a system which puts profits before people. And so, as has become crystal clear to the people of the world, the natural progression of Capitalism, wherever it exists, is to create an ever greater divide between the haves and the have nots. This is true of America and Russia (It is interesting to note that whereas this divide did not exist in the Soviet Union, it appeared almost immediately after its fall as an immensely wealthy and much hated capitalist class, called the Oligarchs, arose), of China and Southeast Asia; everywhere, everywhere there are the few that have and the many who do not. But then I am not telling anyone anything they don’t know. Under conditions of “havenotness” the natural psychological drive is not towards “haveness”, but towards coping with not having. Need, not want, becomes the driving motivation, and frugality is defined as a positive “virtue.” People become more or less acclimated to not having, and partially through the result of religious indoctrination and the inculcation of capitalist values, come to accept the fact that they do not and perhaps even should not have. 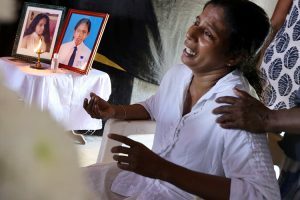 Certainly, they should not expect anyone to provide them with what they do not have and desperately need – that is an unacceptable idea in a capitalist world. This acceptance of “havenotness” is reflected in the smallest details of people’s lives, and in the case of Russians, it comes down to things such as toilet paper and ketchup. Let me give you an example. When I first came to Russia, of course, I wanted to see Red Square as soon as I possibly could, and one of my “colleagues” took me there a few days later. I was of moved nearly to tears as I stood in Red Square, looked up at the Kremlin, at St. Basils. Opposite the Kremlin stands “Gum.” It was Stalin’s Department Store back in the day, a consumer palace for communist comrades. Today, it is a palace of brazen capitalist consumption for those with enough money to shop there. High end stores, expensive items, in a gloriously beautiful and elegant environment. As I was standing gazing in admiration at the exotic other worldliness of Red Square, nature called. My friend took into Gum and down into the basement where a woman sat collecting money –I think it was ten roubles, about fifty cents at the time. I was of course, taken aback; in malls in America there are free public toilets everywhere. I paid my money, was handed a small square of toilet paper, and went into the stall. There was no toilet. Instead there was a hole in the floor over which I should squat. It is called a “squatter” toilet, and I had never in my life seen anything like it. I am, after all, an American, where even the poorest have toilets that they can sit on. Today, that toilet is a “tourist attraction” labeled “Soviet Toilet.” But I can tell you for a fact, I used in in 2008. Nor was the toilet at Gum an exception. Bathrooms were, and still are, a “business” and not a service provided to mall customers. In every mall there were these paid toilets where there was either only one role of toilet paper hanging in a central location, or where a measured amount of paper was handed to each “customer.” Nearly on every streetcorner near a “metro” station, were port-a-potties, manned by Old Babushki, who sat in one small cubicle, a bucket of filthy water and an moldy mop by their sides, collecting roubles from “toilet cusomers.” It was a good business for an old Babushka entrepreneur, (they have since been banned in the city of Moscow}. Sometimes they gave out toilet paper, other times they did not. When they did not, they sometimes handed out a piece of newspaper, other times not. In fact, in “free” public toilets as well as in bathrooms in business buildings, each company, and sometimes each person within each company, was expected to provide their own roll of toilet paper. I went recently to get my hair cut, and when I was there I asked to use the toilet. My hairdresser went into a cabinet, found her roll and handed it to me. I never cease to be amazed or repulsed by the fact that there is no toilet paper in most bathrooms. However, I have learned to carry napkins with me. I am an American. And for better or worse, we are accustomed to getting our ketchup and mayonnaise, our sugar and salt, for free. After all, arent’t these things already on the table when I sit down. I know I can ask for a glass of water and, in most cases, get it for free. Sometimes I even get a second cup of coffee for free. I know when I order at McDonalds, that I can ask for another packet of ketchup. Not in Moscow. If you go to McDonalds and ask for ketchup for your fries, you will pay for it. 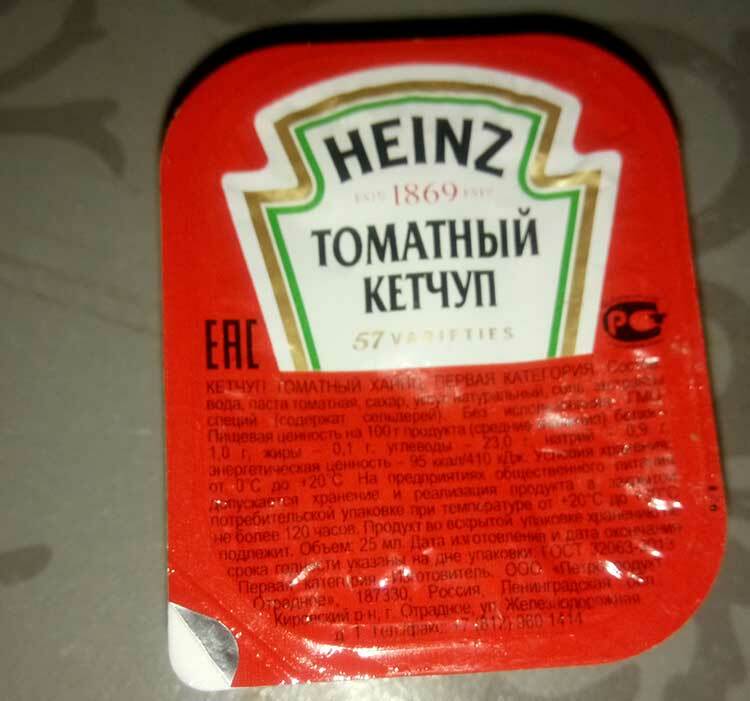 “Sauces” made by Heinz, are prepackaged in small square containers and sell for about fifty roubles each. I was absolutely shocked the first time I asked for milk for my coffee and was charged extra. Nothing is free in Moscow, nothing, not toilet paper and certainly not ketchup. Moreover, I am constantly amazed when I go to restaurants, at how little food one gets for one’s money. It is almost like a game in which restaurants push the envelope of quantity while increasing the price as they seek to find that perfect point at which they can give the least amount of food for the most amount of money. I am an American. I am not used to paying to use a toilet, to bringing my own toilet paper with me when I go out, to not getting a huge amount of food for my money, to paying for ketchup. But then, it is really just a matter of what kind of “havenotness” you are accustomed to. I want to add, as an aside, that in many fast food restaurants, both Russian establishments and American transplants such as Kentucky Fried Chicken and Burger King, when you ask for a “super sized” serving, it is not, as it is in America, called supersized – it is called American. So there are three sizes: small, medium and American. Thus, to ask for a big portion is to behave like an American. cafés, small eateries in the outskirts of the town, in every toilet there was toilet paper, in the museums everywhere. Pay fo everything ….nothing is ‘ free ‘ ! Not even ‘ free ‘ dom …!